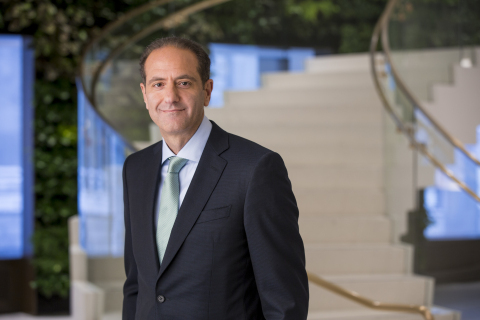 NEW YORK--(BUSINESS WIRE)-- The board of directors of MetLife, Inc. (NYSE: MET) today announced that Michel A. Khalaf, president, U.S. Business and EMEA, will become MetLife’s president and chief executive officer on May 1, 2019. Khalaf also has been appointed to the MetLife board effective May 1. This news release may contain or refer to forward-looking statements. Forward-looking statements give expectations or forecasts of the future using terms such as “anticipate,” “estimate,” “expect,” “project,” “intend,” “plan,” “believe,” “will,” and other terms tied to future periods. Results could differ materially from those expressed or implied in the forward-looking statements. Forward-looking statements are based on assumptions and expectations. They involve risks and uncertainties, including the “Risk Factors” MetLife, Inc. describes in its U.S. Securities and Exchange Commission filings. The company has no obligation to correct or update any forward-looking statement.